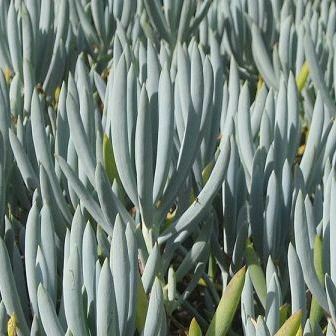 A blue-green succulent with white flowers in summer. Evergreen trailing habit, happy in full sun drought tolerant and great in a pot. Frost tender.